Models - 2015 All Over Again? The global EV market continues to grow at rapid pace, with some 63.000 units delivered in August, representing a 66% growth YoY, with YTD sales now up 55%, we are headed for a total sales number of around 800.000 units. In the models ranking, the Best Seller of the Month was again the Tesla Model S, thanks to 4.715 units, this was the third consecutive month that the sleek Sports Sedan won the Monthly Best Seller trophy, so this might turn out to be the same story as last year, with the Nissan Leaf leading the ranking during most of the year and then the Model S stealing it from the Japanese hatch in the final months. Looking at the rest of the YTD ranking, the Renault Zoe stumbled to #8, because of the seasonal drop (Vacances time), while the #4 Outlander PHEV lost significant ground to the Chevrolet Volt, now in search for higher standings. Looking outside the Top 10, there were a number of models pulling out brilliant performances last month, the BYD e5 recorded 1.961 units, a personal best, that allowed it to be #9, while the Zotye Cloud EV did even better, registering 2.116 units and rising to #8. BYD continues to be the Master In Command, in August it delivered another impressive result, with 10.691 units, while Tesla secured the Second Place, with more than 7.000 deliveries. These two brands are pointed as the disruptive manufacturers of the EV market and September seems to confirm that, with all pointing to record-breaking performances (12k?) by both brands. BMW is ambitiously hunting a weakened Nissan in the race for the last place of the podium, while Mitsubishi is losing positions every passing month, it is now #7, far from the Third spot won last year, having been surpassed by BAIC, that has been recording strong results and is now threatening the #5 Volkswagen. The Beijing Chinese manufacturer is something of a Dark Horse, we don't hear a lot about it, but the truth is that it is the manufacturer that made the most progress regarding last year, climbing six positions, and is one of three brands that have already beaten last year result in 2016 (17k last year vs 22k now), with the others being BYD (62k vs 64k) and BMW (33k vs 34k). With Chevrolet finally selling at decent levels, the American car maker is now biting Renault's Eighth Place, so we might see a change here soon. Looking below the #10 Ford, we see SAIC Roewe, #11, edging just a little but closer, with 788 units separating it from Ford, this is another race to follow closely. The European EV market had more than 13.000 registrations last month, up 19% over August 2015, with the market is set to surpass the 200.000 units by year end. In a relatively stable market, one model stole the show. #1 BMW i3 – Thanks to the massive arrival of the 33 kWh units, the BMW i3 had the anticipated sales surge, jumping directly to Number One in August, with 1.317 units, its best score of the year, while also for the first time in 2016, the BEV version outsold the Rex brethren, meaning that with the extended electric range, buyers feel more safe to go all into the EV game with the BEV version, without needing the safe net of the Range Extender. The largest markets to absorb the extended range Bimmers were Norway (293 units, all BEV) and Germany (280 deliveries, 147 of them BEV). #3 VW Passat GTE – Besides the usual Sweden and Norway, big time Passat GTE lovers, Volkswagen’s midsize offering also impressed in the Netherlands, with 119 units, its best result of the year there, allowing it to reach the Third Position, with 916 units. With the right mix of electric range, space, power and a reasonable price, the Passat GTE was destined for success as company car across Europe. #4 Nissan Leaf – Sales of the Japanese hatch were down 15% last month, to 869 units, with registrations dropping across the continent. In normal circumstances, Nissan would be worried and would try to pull some tricks to turn things around, but this time, the Japanese brand is just keeping production at minimal levels to avoid big unsold stocks, waiting for the big EV Push to be made by the Alliance at the upcoming Paris Auto Show. Article also published in EV Obsession and CleanTechnica. Looking at the YTD ranking, there weren’t significant changes at the top, with the Top 4 positions with no real chances of being contested in the short term. But the race for #5 should be interesting, now that the rejuvenated BMW i3 is delivering their 33kWh units, the VW Golf GTE better step up the game or else in will have to say Auf Wiedersehen to the Fifth Place. In the midst of the Summertime Chill season, besides the BMW i3, two other models had excelled in August, the Mercedes B250e had 466 units registered, its best performance ever, while the newly arrived Tesla Model X had its first significant deliveries month in Europe, with 307 units, already pulling it to #15 in the August ranking and #2 in the Luxury SUV class, only behind the Volvo XC90 PHEV, with 333 units. Considering that September is the last month of the Quarter and Tesla usually delivers some Ludicrous performances by that time, I wouldn’t be surprised if the Model X sneaked into the next month Top 5. “What about two Tesla in September’s Top 5?” – While possible, I don’t believe it will be probable, with Tesla firing on all cylinders electrons to have as much units delivered as possible, I think they will make North America a priority for the MS (It’s simpler to deliver there) and won’t have the manufacturing / logistic ability to deliver so many MS units on this side of the Pond. Go on Tesla, prove me wrong! Looking at the manufacturers ranking, the trophy bearer, Volkswagen (16%), has been successful in fending off its direct competitors, but now it has a new and ambitious runner-up to take in account, as BMW (15%, up 2%) is profiting from a strong (And extensive) line-up to climb in the ranking, this time to Second Place, while dropping Renault to Third, with 14% share. While BMW is still far from the leadership, 1.870 units behind, to be more precise, the booming sales (i3 33 kWh deliveries, 740e arrival…) of the Bavarian manufacturer means that it won’t be all that surprising to see BMW as Europe’s best-selling EV brand in 2016, by December 31st. The Japanese EV was down 50% YoY in August, with some 1.100 units, placing the YTD numbers at some 17.000 units, approximately the same amount as in in the same period last year, with the EV Share steady at 0.5%. Although the overall numbers follow last year volumes, the way the two local heavy-weights are behaving, couldn't be much different. On the other hand, emissions scandal is hurting badly Mitsubishi, the Outlander PHEV YTD sales are down 28% to little over 4.000 units, while the 151 units sold last month were its worst performance in over three years, to worsen things even further, the Miev family is also in the doldrums, with August presenting symbolic numbers and drops between 70 to 95% YoY. As consequence of this, Nissan is miles ahead in the manufacturers ranking, with 66% share, 41% ahead of Mitsubishi (26%), while BMW is Third, with 5% share. Toyota may pull a rabbit out of the hat (Prius Prime) in the last months of the year, but for now it seems the German automaker will be the first foreign brand to reach the Podium in Japan. 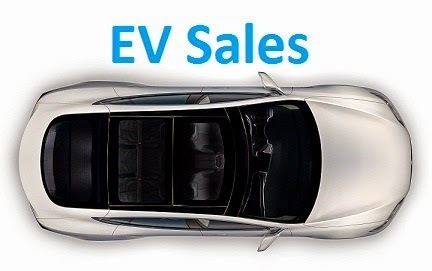 EV Sales continue on a healthy pace, despite August being a slow selling month (Locals flock to the Algarve beaches), sales were up, to 108 units, keeping the EV Share above 0.7%. With four five leadership changes this year and three different models passing by the leadership, this is turning out to be one of the most entertaining rankings to look at, with August being no exception, due to a sales slump from the Nissan Leaf (8 units, worst result of the year), the fleet-favorite Mercedes C350e (18 units) rose to #1, with the Bronze medalist Outlander PHEV also off to vacations (9 units, worst result in 2016), the Merc won a precious advantage over its two direct competitors. In the manufacturers ranking, there's also a close race, with Mercedes (18%) rising to the leadership, but Nissan (18%, down 1%) is still dangerously close, while the Third placed Mitsubishi (14%, down 2%) has BMW (13%) closing in. If we combine regular hybrid sales with plug-ins, the usual two (Auris & Yaris) are in front, followed by the plug-in hybrid version of the Mercedes C-Class (C350e), tied with the BMW i3, while another PHEV shows up in #5, with the BMW 330e appearing for the first time in this ranking.